As a prenatal chiropractor, we are often asked for recommendations for birth providers. For our practice members who are looking for a natural birth, we recommend partnering with a midwife. The Midwifery Care Model is a woman-centered, empowering model of maternity care based on the belief that pregnancy and birth are normal life processes. The majority of midwives earn bachelor’s degrees, then work as registered nurses and go back to school for a two- or three-year master’s degree program in midwifery. They are qualified health care providers who receive comprehensive training and must pass an examination to become certified. The practice and credentials related to midwifery differ throughout the United States. They encourage natural birth and support the mother after pregnancy. midwives tend to spend a lot of time with patients, have relatively few patients who require Cesarean sections and also encourage medication-free deliveries. They care for mother and infant after birth as well. *The services of a midwife depend on the certification and licensing credentials obtained and the practice restrictions of each state. One of the main reasons women decide to use a midwife is to experience childbirth as naturally as possible. 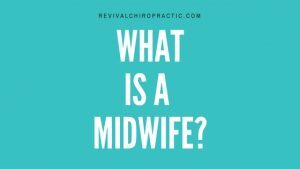 How is a Midwife different from an OB/GYN? Midwives are looked to as the experts in normal pregnancies and midwifery is often referred to as low tech, high touch. Although midwives use technology like fetal monitors, they rely most heavily on their clinical experience. As a profession, OB/GYN’s have a different set of skills that train them to manage high-risk pregnancies and to perform surgery, so there is a perception that physicians are more likely to intervene in the birth. Although a midwife might assist in the operating room, they can’t perform C-Sections. Is vaginal birth a priority for you? Do you want your caregiver with you during labor? What are your plans for pain management? Do you want (or need) additional support as you transition to parenthood? If you had a Cesarean section with your first child, a midwife may still be an option for your second baby—even if a C-section has been recommended. Midwives don’t perform surgery, but you can certainly discuss with your OB-GYN or midwife the possibility of a vaginal birth after C-section (VBAC). Looking for a Midwife in Altamonte Springs/Orlando? There are many wonderful midwives in the Orlando region and we suggest interviewing several so that you can find the midwife that best fits your needs. From personal experience, we highly recommend April Williams of Natural Design Midwifery.